Even if we are cautious, sometimes the carpet will suffer from drops, spills and all kind of accidents. We can handle these problems with some tips from the carpet installer pros, to keep your carpets like new. When you need to take immediate action use water for cleaning your carpet or create a mixture of water and vinegar to remove the stains. Spray the solution on the stained area and let it sit for 10 to 15 minutes to soak in. After that, press with a clean sponge onto the area to soak up the solution and the stain. When the stain is gone, rinse the spot with warm water. For beer and wine stains, you can use club soda, for cleaning the carpet. Put soda on a cloth and blot the area. When it comes to carpet stain removal shave cream can do some magic. You need to apply shaving cream directly on the stain and let it sit for about 20 to 30 minutes. After that blot it away with a dry white cloth and then spray the area with vinegar mixed with water. After this process wipe the vinegar and water solution with a towel. Yоu ѕhоuld оnlу uѕе whіtе rаgѕ оr tоwеlѕ whеn уоu сlеаn саrреt аnd uрhоlѕtеrу tо rеduсе thе rіѕk оf damaging colors. If you have kids, you may need to remove candy from the carpet. Use a scraping tool to remove the candy and spray the carpet with water mixed with soap. Sugar can attract dirt and debris, so it is essential to remove the stickiness with a wet towel. One of the best ways to clean your carpet is by using a steam cleaner. The steam cleaner injects a solution in the carpet and extracts along with the solution the dirt and debris from it. 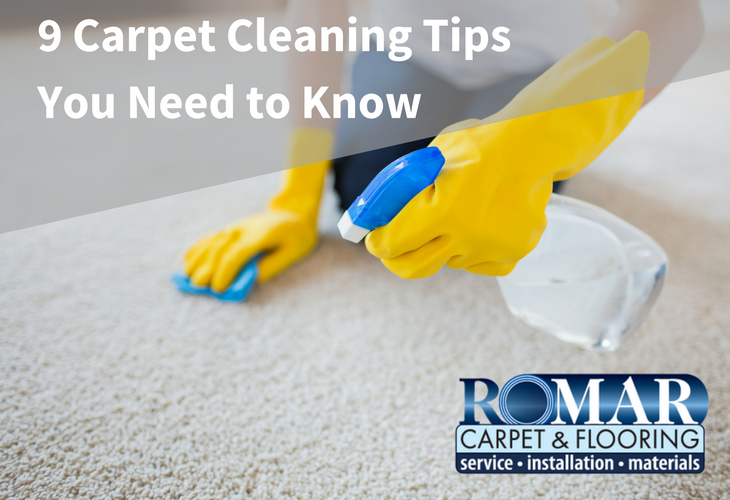 It is recommended to clean the carpet with a steam cleaner every 12 to 18 months, but this depends on the number of people living there and the traffic. Steam cleaning removes oil, grease deposits, and it usually does the best job of cleaning your carpet. You should never use cleaning solutions that contain bleaches because they can damage the color of the carpet. To remove ink stains, you can apply isopropyl rubbing alcohol on the damaged area by pouring it on a clean white towel. Then you need to blot the stain until it is removed. You can buy isopropyl rubbing alcohol from your local grocery store. If you own a pet, you undoubtedly encountered pet stains on your carpet. To remove them you can add a teaspoon of household ammonia to water in a spray bottle and apply it on the damaged area. After using the solution blot with a white cloth. I want to make sure that I get these stains out of my white carpet. I’ve tried things like water and vinegar, but it doesn’t seem to work. Maybe I should get a professional to handle this for me! A have never tried using shaving cream for cleaning carpet stains. The other two listed here seem common on other websites though. Is the shaving cream really great for removing stains? Thank you so much for sharing this post about cleaning furniture and upholstery! I have a dog who is rather rambunctious and he jumps on the furniture frequently. This leaves me with paw prints on my couch arms and this post has been very helpful for me. I’m glad you mentioned that cleaning solutions that contain bleaches can damage the color of the carpet. I really need to get my carpets cleaned, but I don’t know what kind of cleaners to use. I will have to try to avoid cleaners with bleach. Thank you for all tips. I appreciate your tip to look into dry carpet cleaning services so that they can get tough stains out of your carpets. I like how you sai that they can even get ou stains from wine and other alcohols. We are looking for cleaning services to clean our house after we throw a dinner birthday party for one of our friends. our house carpet is always filled with beer spill after the house party which makes our carpet look like tidy and dirty. these methods are very helpful.